Detail of the aft end of the film-cooling pipe and aft-most film-cooling manifold. Even with the 25% water content in fuel and the regenerative cooling provided by the double-walled combustion chamber, combustion temperatures were high enough to cause burn-throughs. 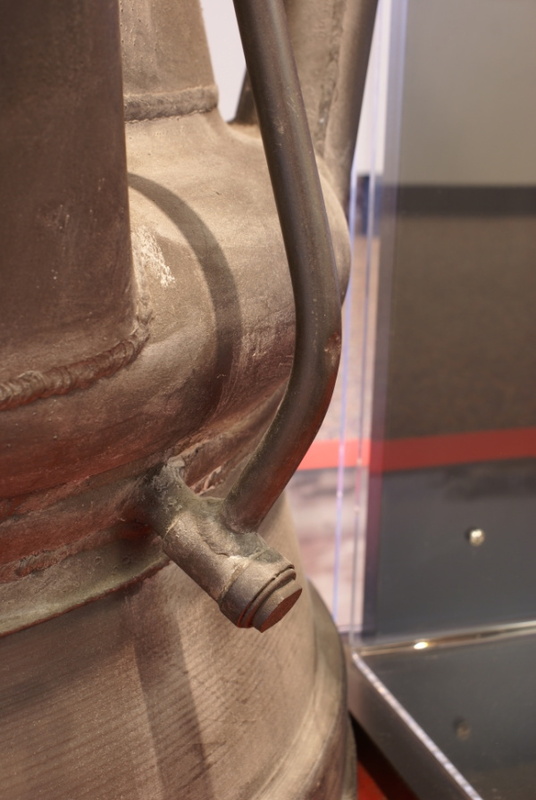 The engineers solved this by placing four rows of film cooling holes in the inner wall of the combustion chamber.